A life insurance policy is a contract with an insurance company. Insurance company provides a lump-sum payment in exchange for premium payments. This is known as a death benefit which is paid out to beneficiaries upon the insured’s death. Generally, life insurance is chosen based on the needs and goals of the owner. Term life insurance generally provides protection for a limited period of time, while permanent insurance, such as whole and universal life, provides lifetime coverage. Death benefits from all types of life insurance are generally income tax-free.1 Life insurance provides financial protection for your beneficiaries when you die. Some life insurance policies also accumulate cash value, offering a living benefit that can be used for supplemental retirement income, funding for a child’s education or cash for emergencies. Life insurance can be the foundation of your financial strategy and can help you leave a lasting legacy. Insurers use rate classes or risk-related categories to determine premium payments; these categories don’t, however, affect the length or amount of coverage. Rate class is determined by a number of factors including overall health, family medical history, your lifestyle. Tobacco use, for example, would increase risk and cause your premium payment to be higher than that of someone who doesn’t use any tobacco. Some of the more common types are discussed below. Term life insurance is designed to provide financial protection for a specific period of time, such as 5, 10, 15, 20, 25 or 30 years. With term insurance, the premium payment amount stays the same for the coverage period you select. After the set period ends, policies may offer continued coverage, usually at a substantially higher premium payment rate. Term life insurance is generally less expensive than permanent life insurance. Term life insurance gives you a good start to get a protection your family needs. Some term life policies can be converted to permanent life policies at a future date, ask your agent about it. How this can help the Beneficiaries: Term life insurance proceeds can be used to replace lost potential income during working years. It can provide a safety net for your chosen beneficiaries and can also help ensure the family’s financial goals will still be met—goals like paying off a mortgage, keeping a business running, and paying for college. Universal life insurance is a type of permanent life insurance designed to provide lifetime coverage; however, these types of policies are flexible and may allow you to raise or lower your premium payment and/or coverage amounts throughout your lifetime. Also, due to its lifetime coverage, universal life typically has higher premium payments than term. How this can help the Beneficiaries: Universal life insurance is mostly used as part of a flexible estate planning strategy to help preserve wealth to be transferred to beneficiaries. People usually use it as a long term income replacement, where the need extends beyond working years. Some universal life insurance products are designed to focus on providing both death benefit coverage and building cash value while others focus on providing guaranteed death benefit coverage. 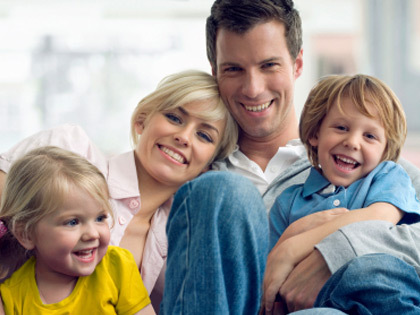 Whole Life Insurance is a permanent life insurance which provides lifetime coverage. Because of the lifetime coverage, it usually has higher premium payments than term life. Policy premium payments are typically fixed, and whole life has a cash value2, which functions as a savings, gives financial flexibility and may accumulate tax-deferred over time. How this can help the Beneficiaries: Whole life can be used as an estate planning tool to help preserve the wealth you plan to transfer to your beneficiaries. 1. Estate taxes may apply to insurance proceeds. Legacy Partners Insurance does not provide legal or tax advice. The tax information contained herein is general in nature, and it is provided for informational purposes only, and should not be construed as legal or tax advice. You should consult with an attorney or tax professional regarding your specific legal or tax situation. 2. Access to cash values through borrowing or partial surrenders can reduce the policy’s cash value and death benefit, increase the chance the policy will lapse, and may result in a tax liability if the policy terminates before the death of the insured.